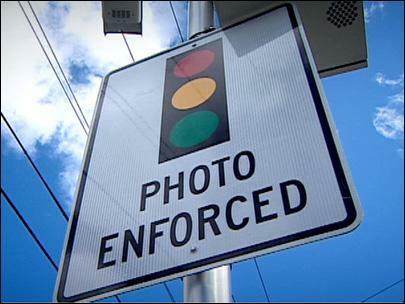 Red Light Camera Tickets: Where Does the Money Go??? | The Sasquatch Soul: wandering, searching deeply, and avoiding photos. Red Light Camera Tickets: Where Does the Money Go??? About a year ago, my brother was living in Phoenix. He was offered a job fresh out of nursing school, in the CV-ICU (cardiovascular intensive care unit) at Good Samaritan Hospital. Working on the CV-ICU floor is an intense job to step into directly after graduation. It is so intense that the roof of the hospital has an elevator that went straight to his unit. Moving away from family, friends and fiancee was very difficult for him and since I’m quite close to my brother, I found myself constantly searching for opportunities to visit the always sunny, often scorching, city of Phoenix. During one of the many trips I made out there, I noticed that there were cameras along the side of the highway to catch people going over the speed limit. Okay, whatever it takes to keep people safe. But as we drove down the freeway I noticed how frequently (not to mention drastically) the speed limit changes were. They changed every few miles. 75 MPH. 55 MPH. 60 MPH. 50 MPH. Are you kidding me?!? As you could guess, those cameras were always clicking. After a few years of this, the people of Phoenix actually rallied because it was obvious to everyone that this was a racket the city had come up with to increase revenue and pilfer money from the pockets of freeway travelers. This seems to be a fairly common complaint. The residents of ANY city usually balk when those cameras are put up, because there is almost always the legitimate question: who is the money from these camera tickets going to? There are several cameras at the various intersections of Murrieta Hot Springs Rd. Whenever I drive by them, my mind always returns to Phoenix and I wonder who is benefiting from the revenue generated by these cameras. Well, I don’t have to ponder that question too much because it turns out it’s a question that has been discussed by the Murrieta City Counsel. According to a recent article by the Press Enterprise http://www.pe.com/localnews/murrieta/stories/PE_News_Local_D_shotsprings31.1fb2e5f.html, they decided that it would be in the best interest of all to donate the revenue from these “camera tickets” to charities who apply for the Community Development Block grant money that the city disperses annually. Imagine! Using ticket money to accomplish something for the greater good. It’s a concept I wish more cities would adopt. So, while it is no fun being caught red-handed running a red light, I feel a bit relieved to know that if I do get a ticket, the money will go to a charity – not politicians pockets.